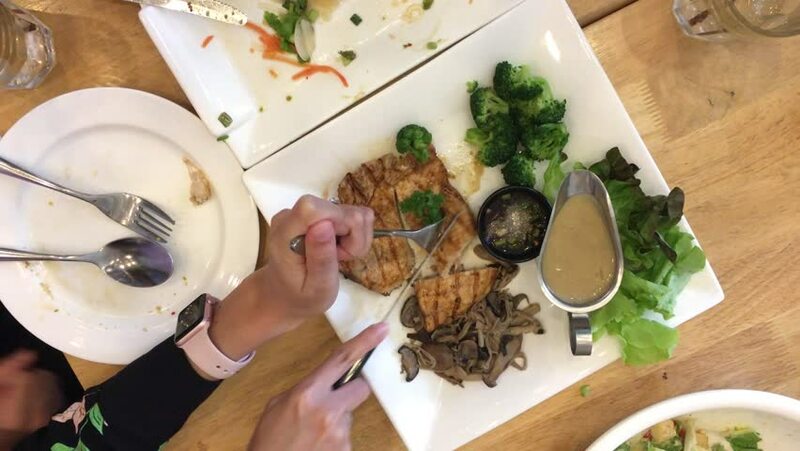 Woman hand holding knife and fork cutting grilled beef steak in white dish with food set and another is finish on the wooden table at restaurant. Top view. video footage. 4k00:16Close-up meal in a cafe. The boy eats at a cafe.